There are some cars, that when their names are mentioned, the room gets quiet. Some cars that are not just beautiful to look at, listen to, drive, and spend time around, but are so steeped in motorsports history, their thunderous time spent on track has left absolutely indelible marks on the automotive landscape. The Porsche 917 is one of the those special cars. At events like the upcoming Rennsport Reunion, Porsche rolls out its legends among a field of equally important and impressive machinery for a day of riotous vintage racing in the California sun, and a 917 will be part of this year’s field. Luckily, someone thought it prudent to film the pre-reunion shakedown of the awe-inspiring Porsche 917. The Porsche 917 was one of the most dominant race cars during the early 1970s, when its victories included success at both the 24 Hours of Le Mans and various Can Am racing events. In Can Am qualifying trim, 917s saw power figures from 1,100 hp to as high as 1,580 hp, allowing the 917 to reach 60 from a standstill in 2.3 seconds, 124 mph in 5.3 seconds, and a reported top speed of 240 mph. Now, in preparation for the fifth Rennsport Reunion, Porsche released a video which includes clips of the 917 that won the 1000 km of Spa in 1971 performing shakedown laps before the reunion, which runs September 25 through 27th. Along with gratuitous 917 footage, the video includes thoughts on what makes the Reunion so special from racing greats like Hurley Haywood and Patrick Long. 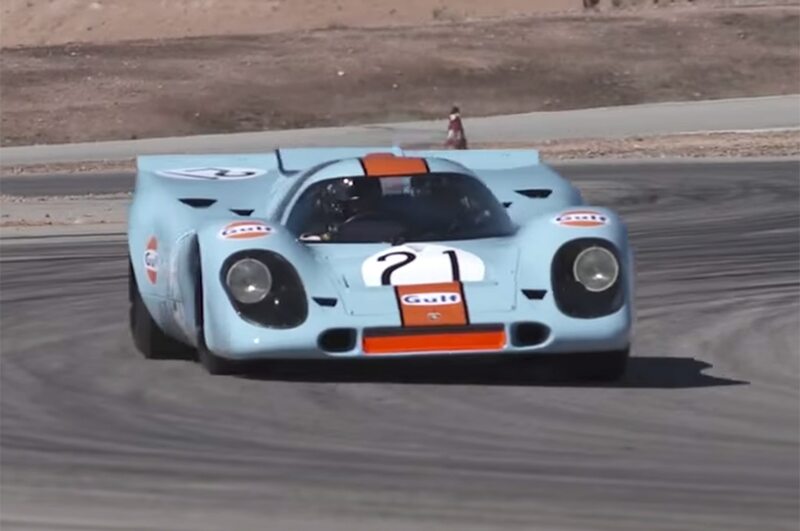 Take a look (and a listen) at the 917 making its rounds around a track in the video below.